New Teams are Chartered at 15 Members. 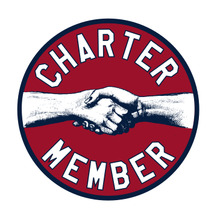 All Charter members come in at $35 a month. The set-up charge for the first 15 Charter Members is waived. The 16th member will be a New Member joining an Existing Team and dues are $100. This price covers their first month’s dues $35 month, plus their set-up charge of $65 ($35 + $65=$100). The 4th month the dues increase to $50 a month. And remain at $50 unless the member becomes a Team Builder.